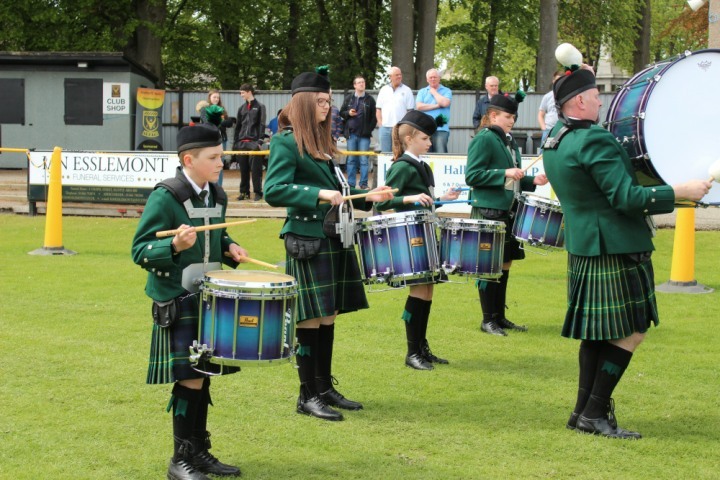 Please find below a selection of images which we hope you enjoy. 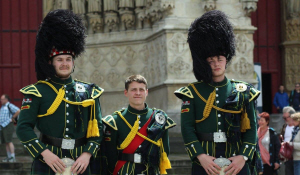 Simply click on any image for an expanded view. 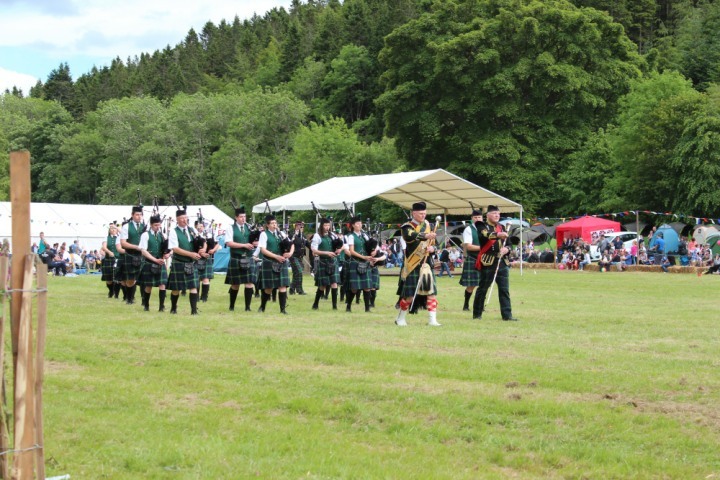 We will be adding more images in due course. 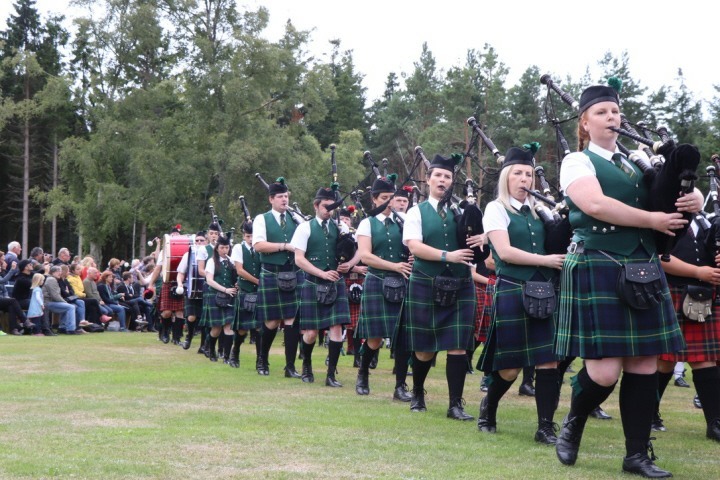 Huntly owes its name and existence to the Gordon family. 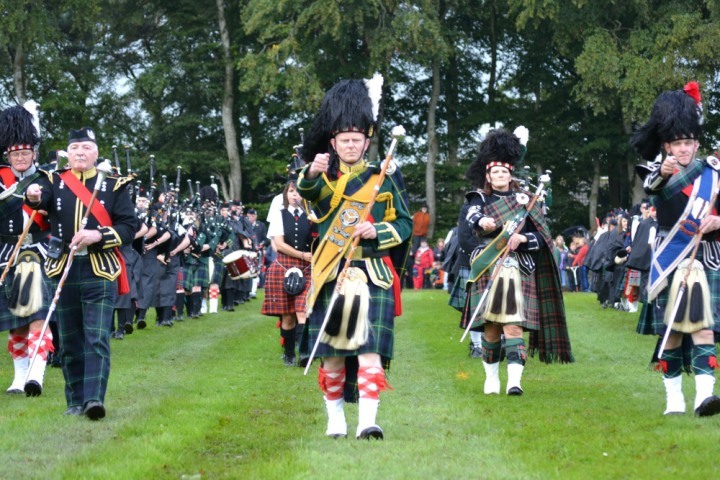 In 1319 Robert the Bruce granted the lands of Strathbogie to Adam de Gordon originally of Berwickshire. 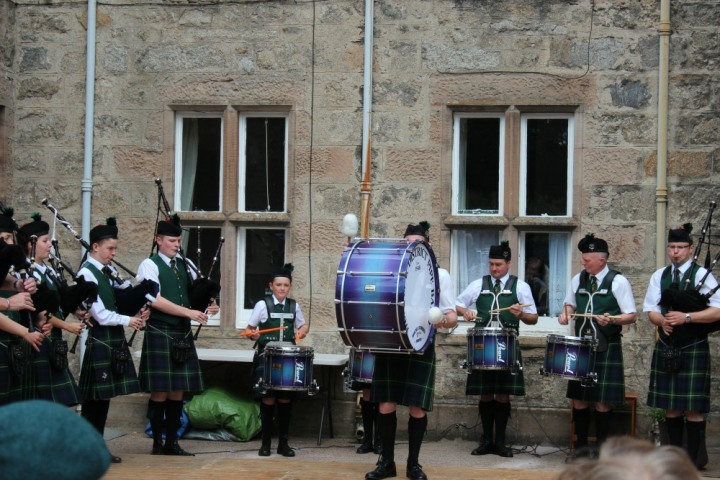 The family base at Strathbogie castle was renamed Huntly castle in 1506. 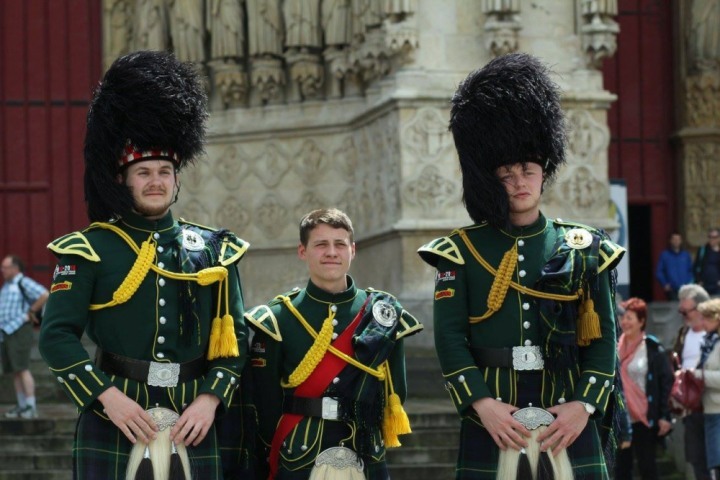 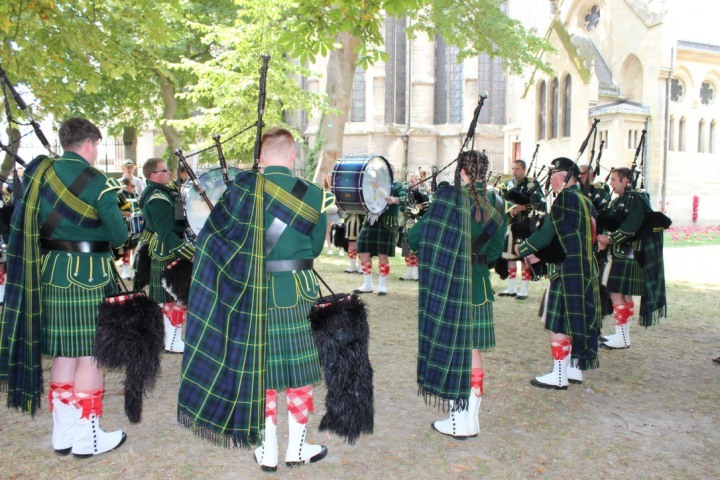 The current Huntly Pipe Band has two uniforms; a number one ceremonial dress used for special occasions and certain Highland Games that require the full ceremonial dress to be worn by our members. 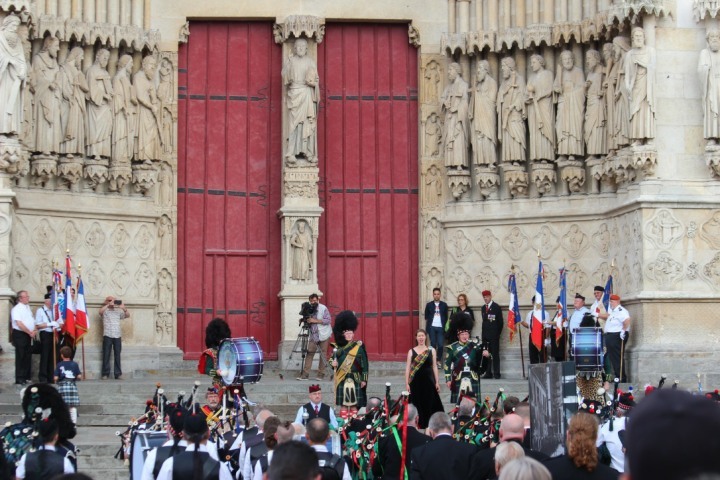 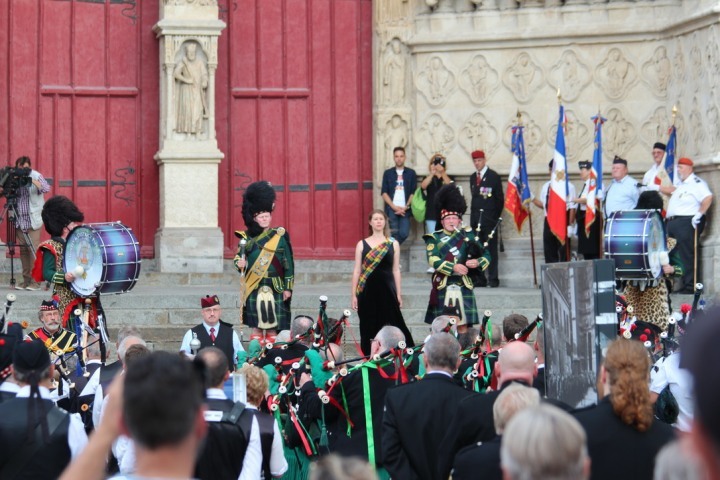 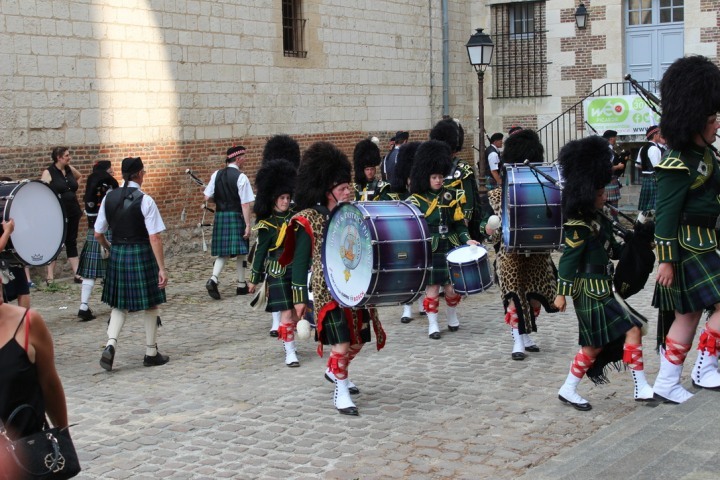 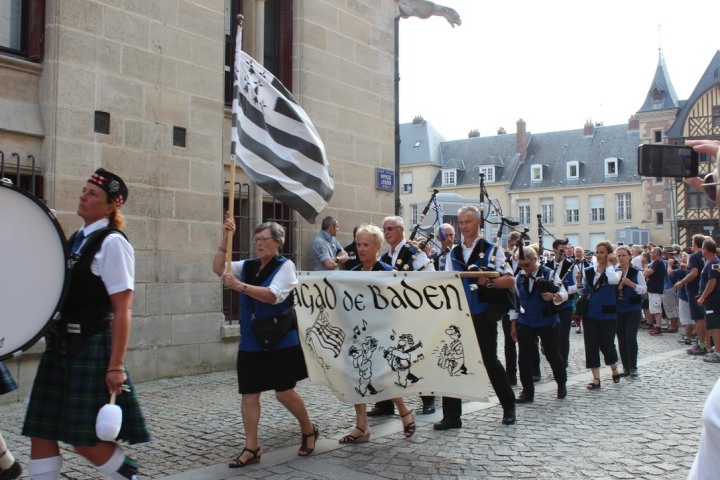 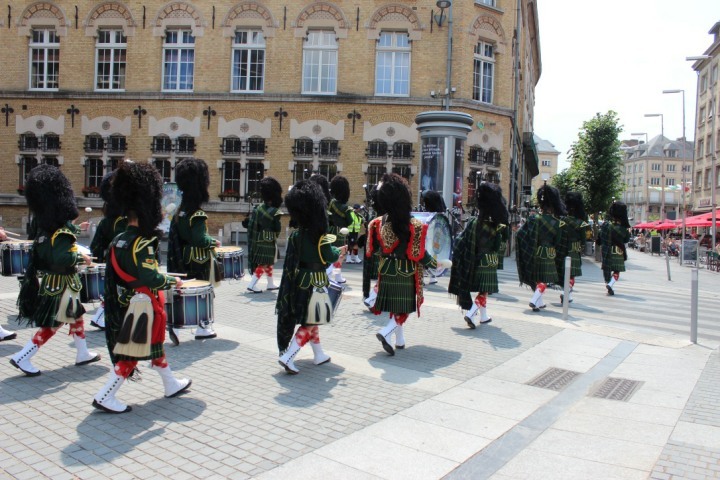 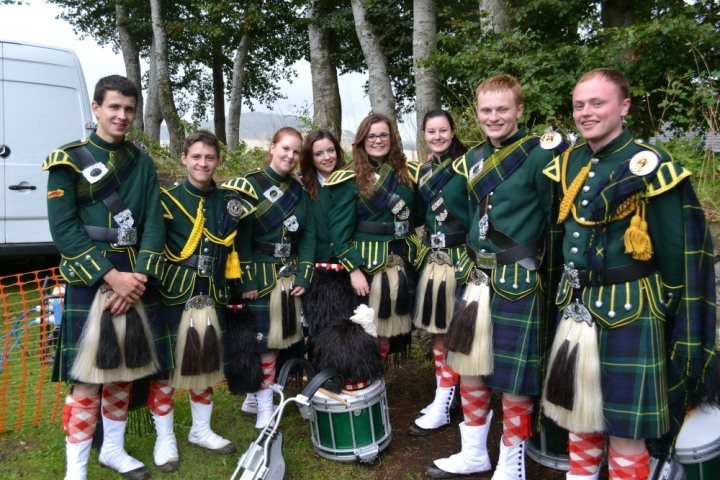 The current Pipe band comprises of many members and a dedicated team of committee members and office bearers. 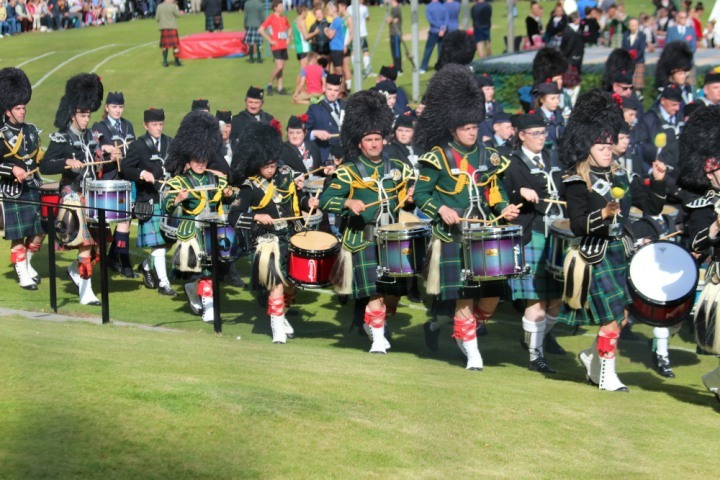 Without doubt the continued success of the pipe band is reliant on the continuing hard work and support of our team. 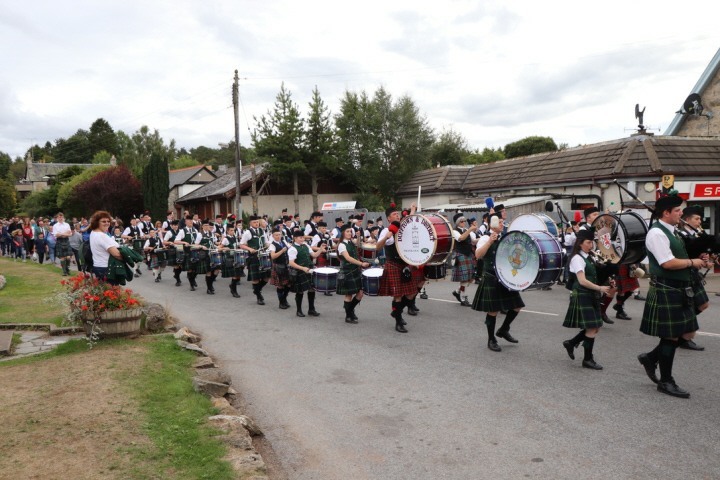 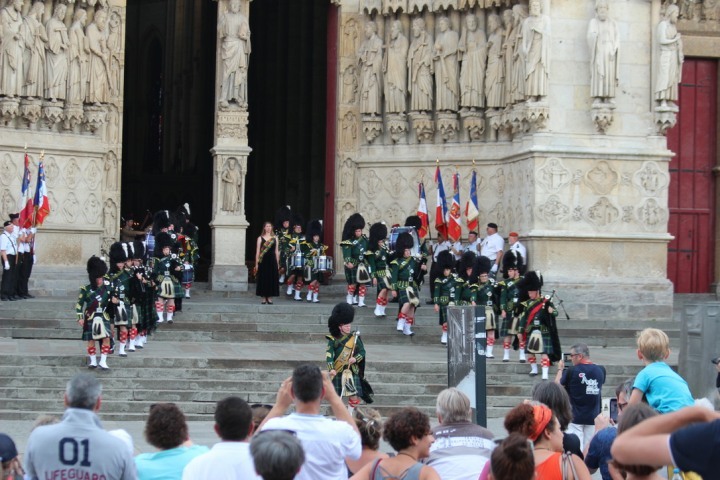 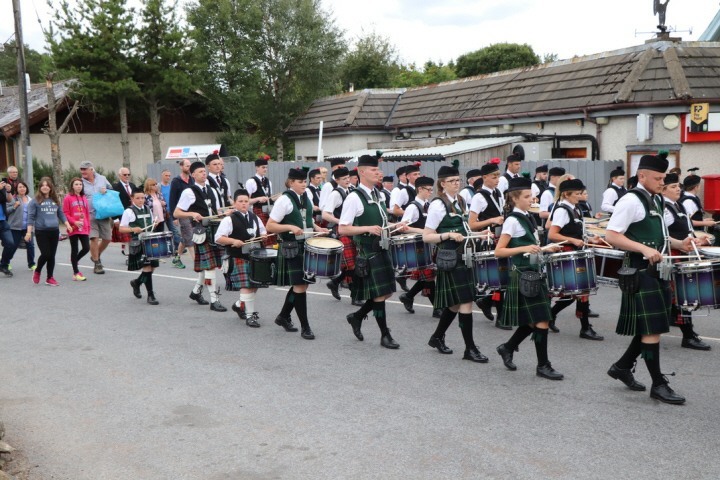 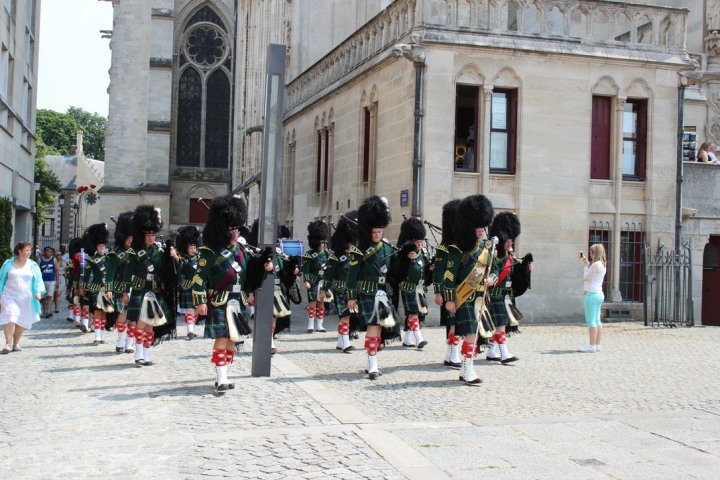 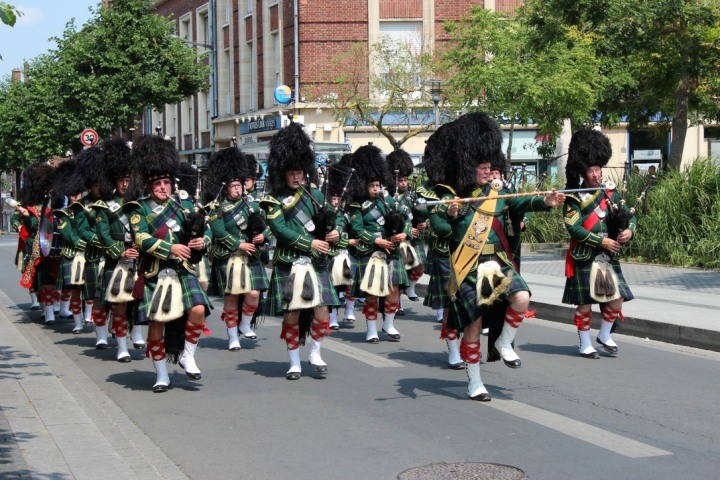 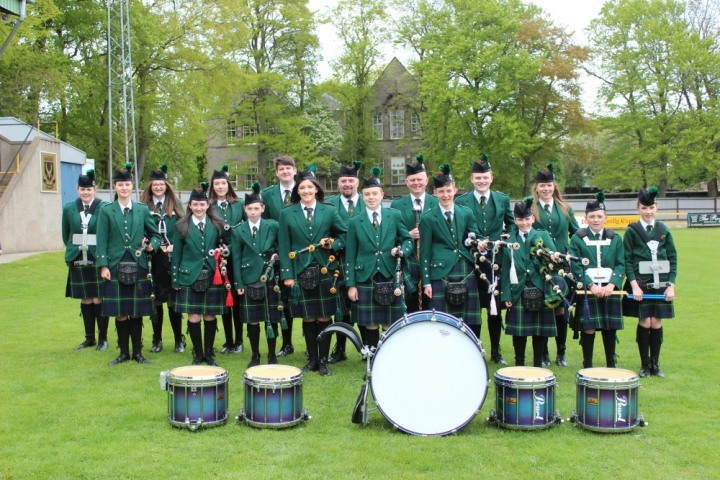 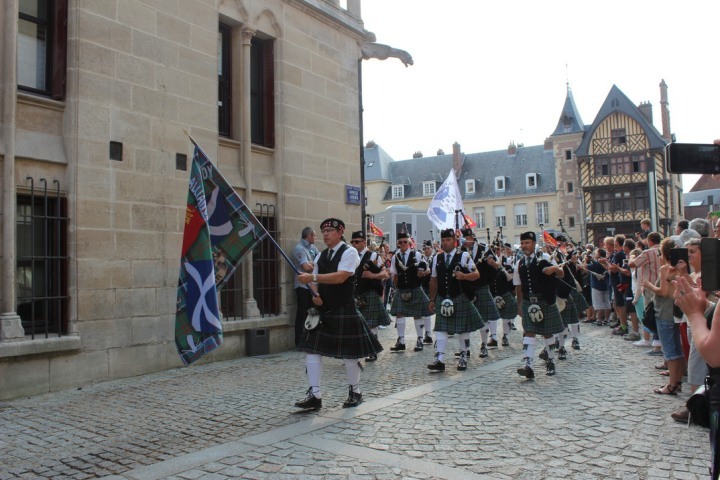 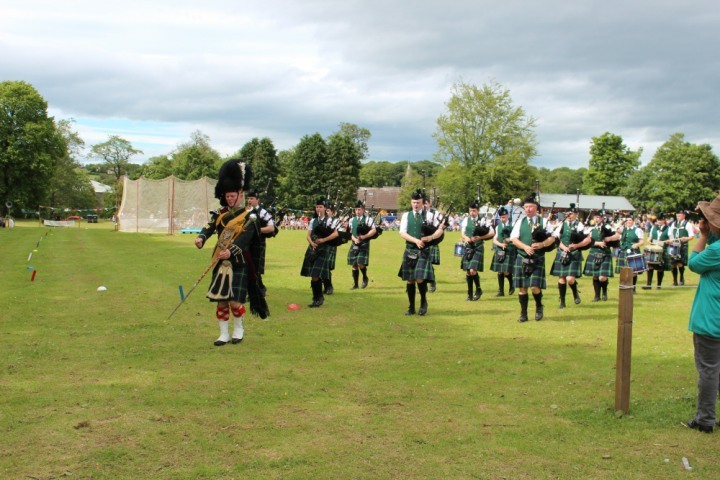 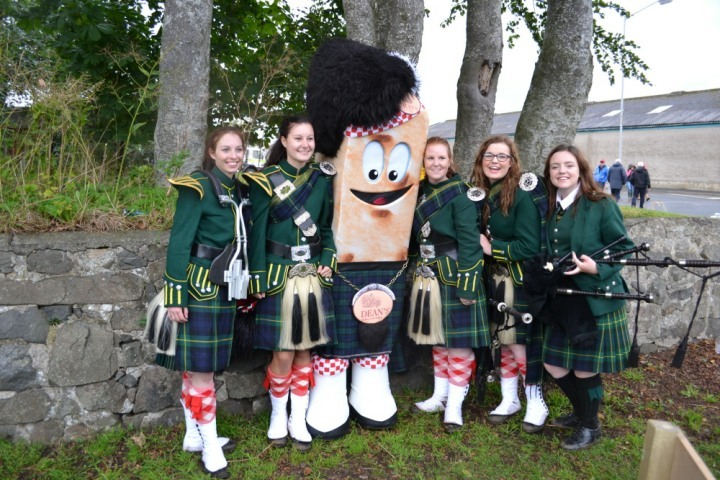 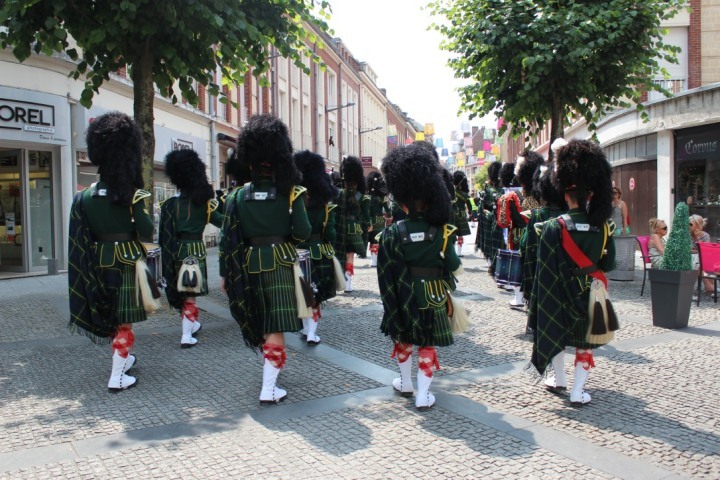 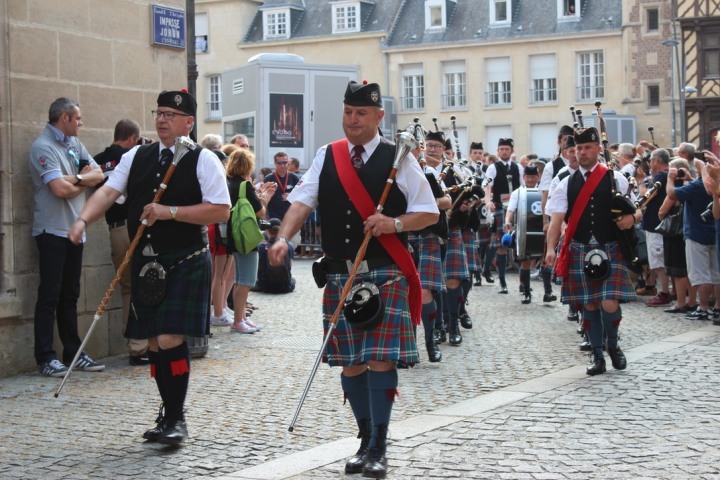 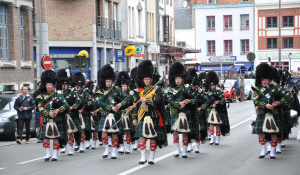 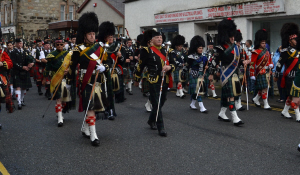 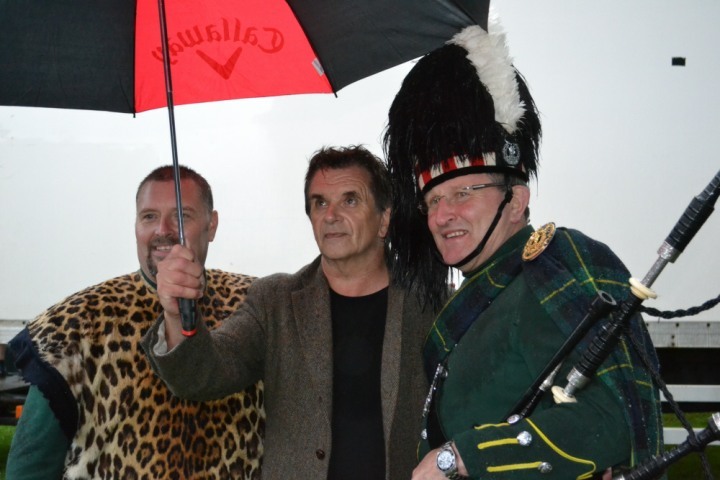 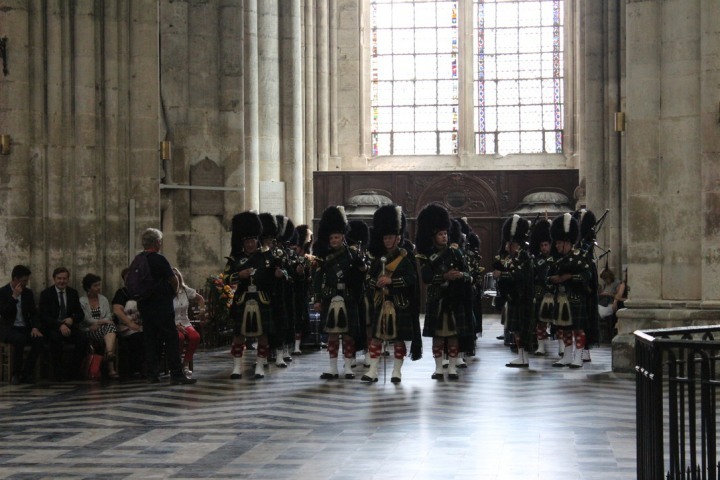 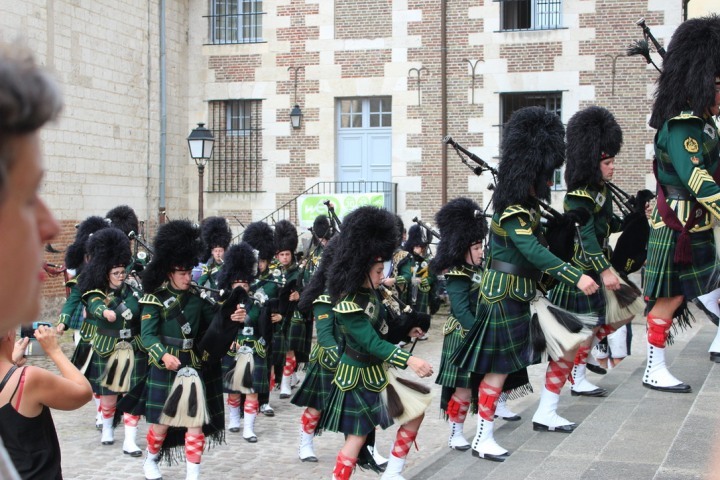 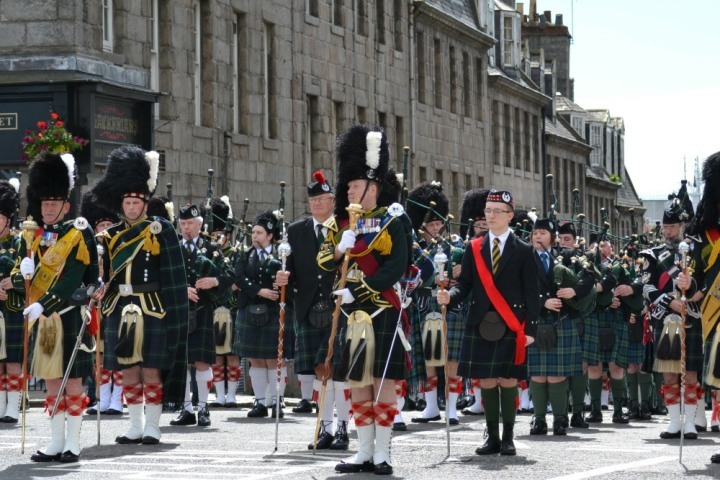 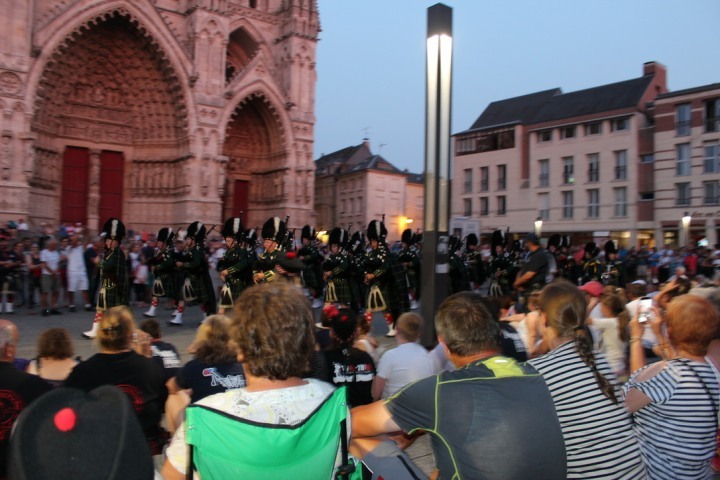 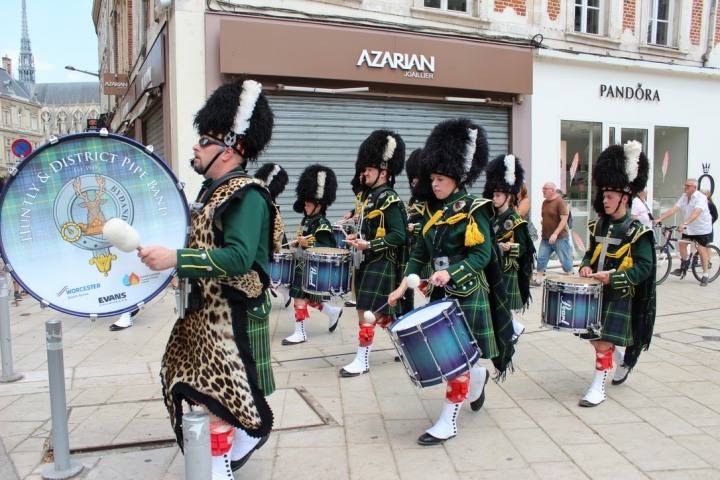 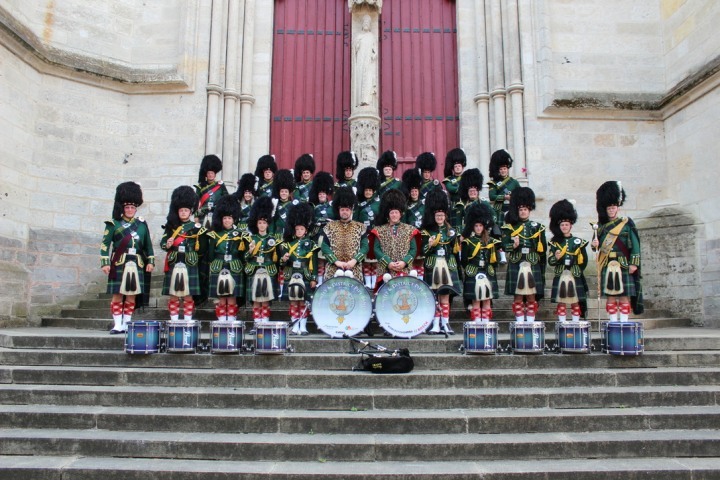 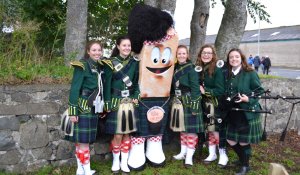 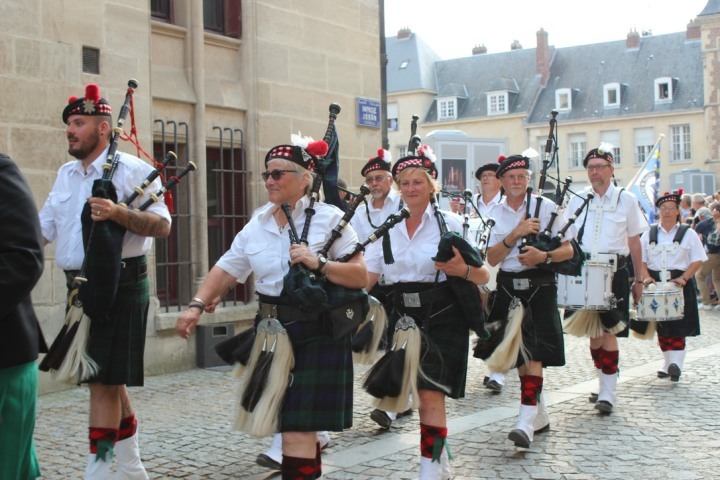 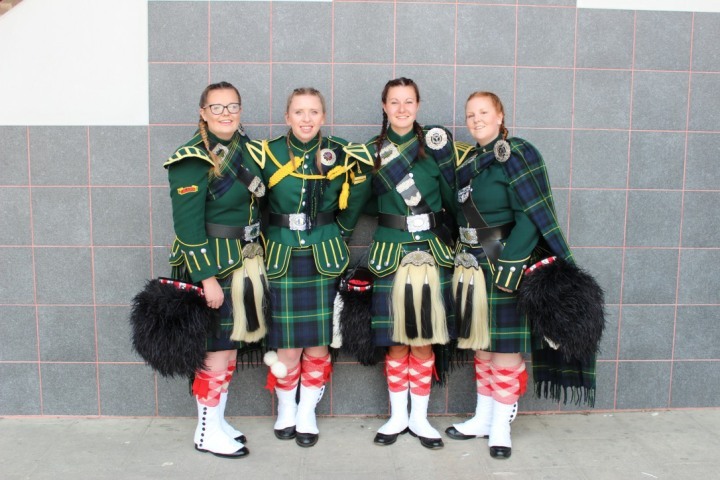 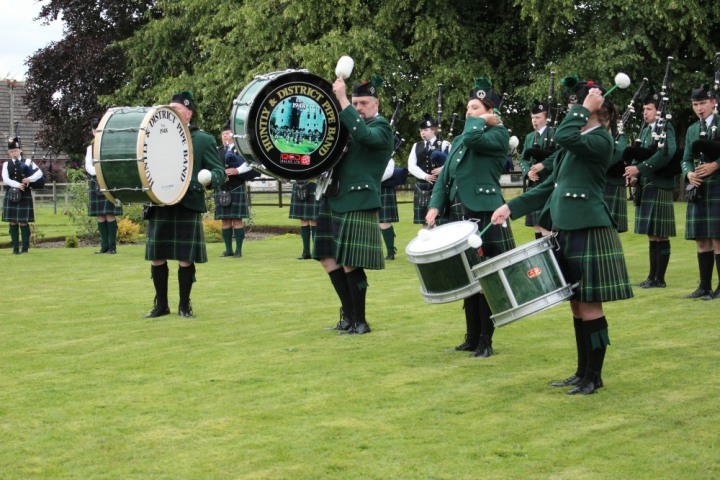 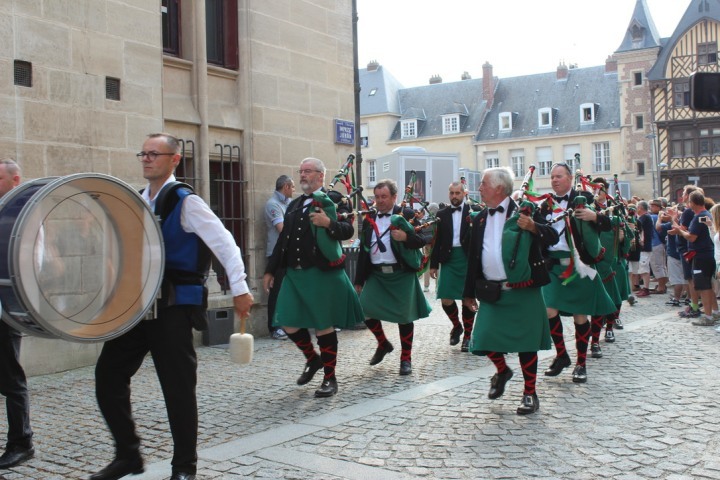 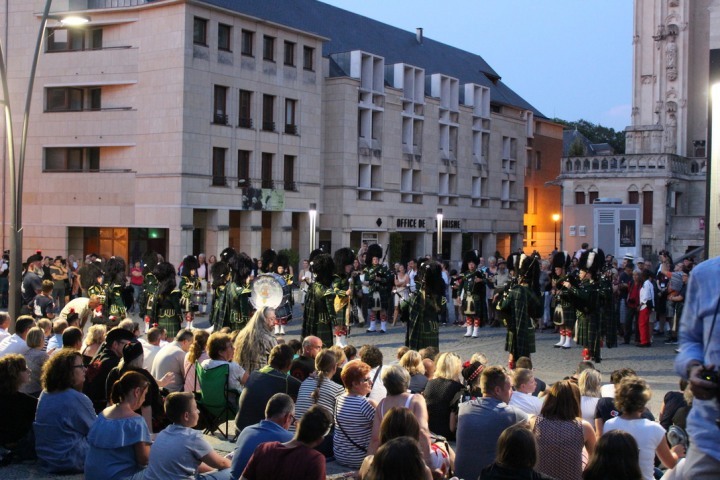 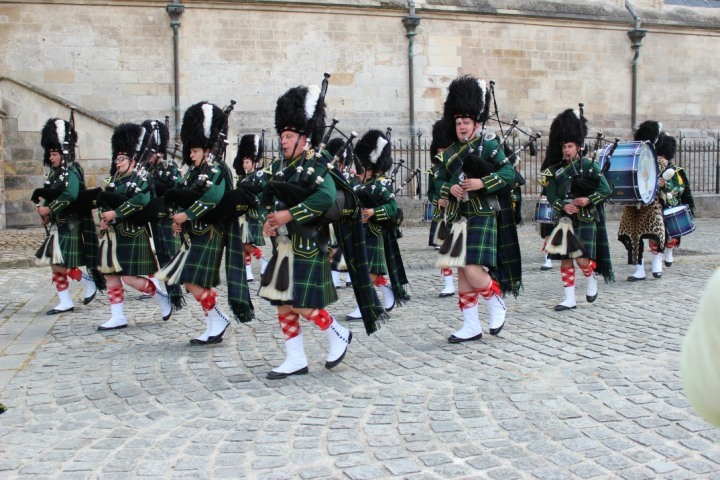 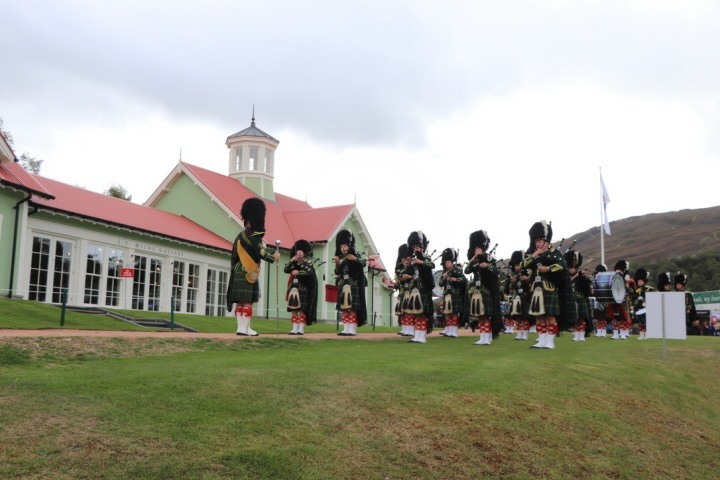 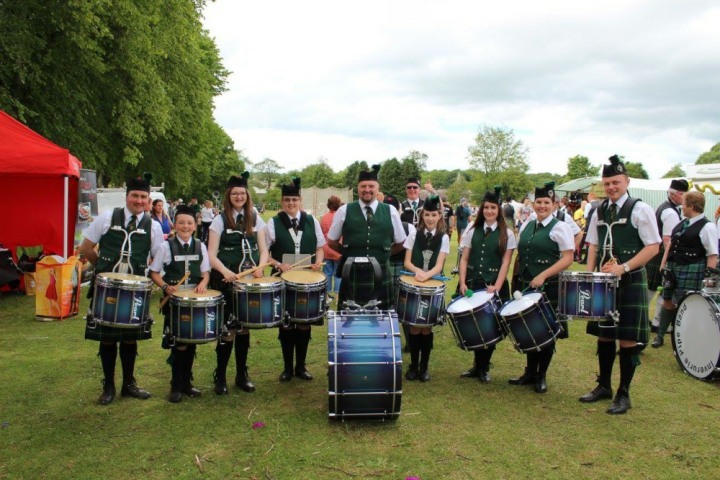 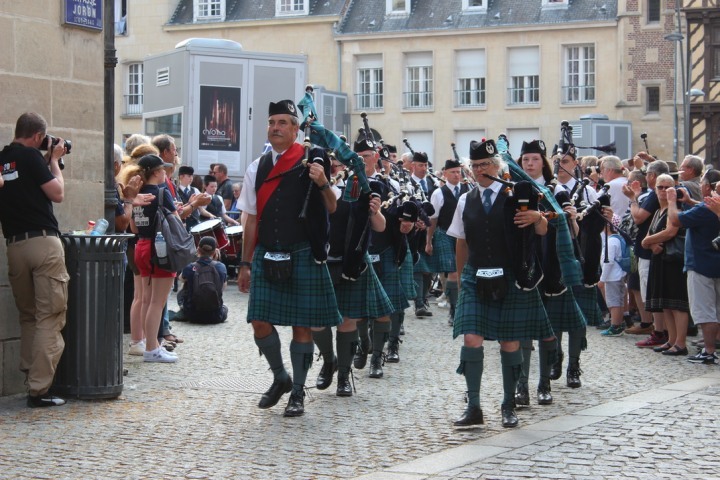 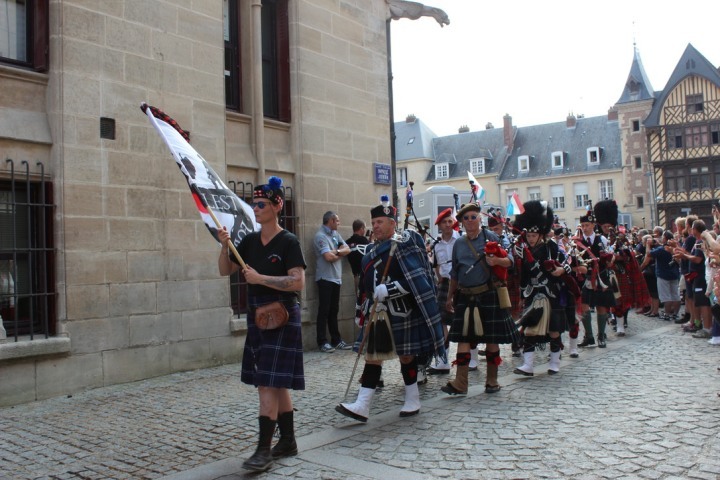 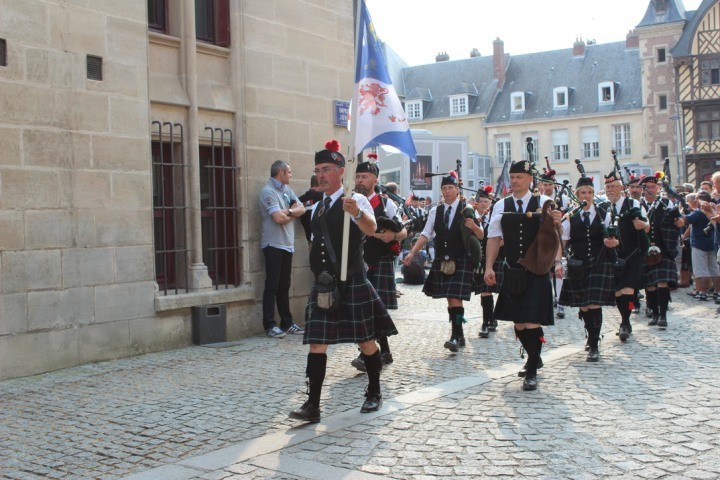 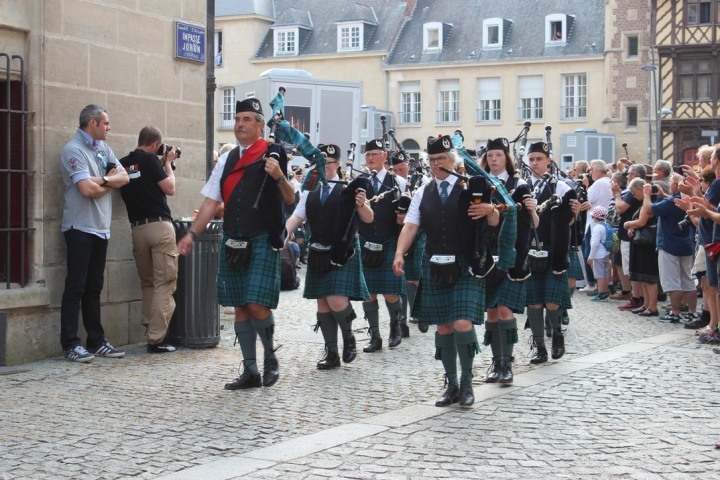 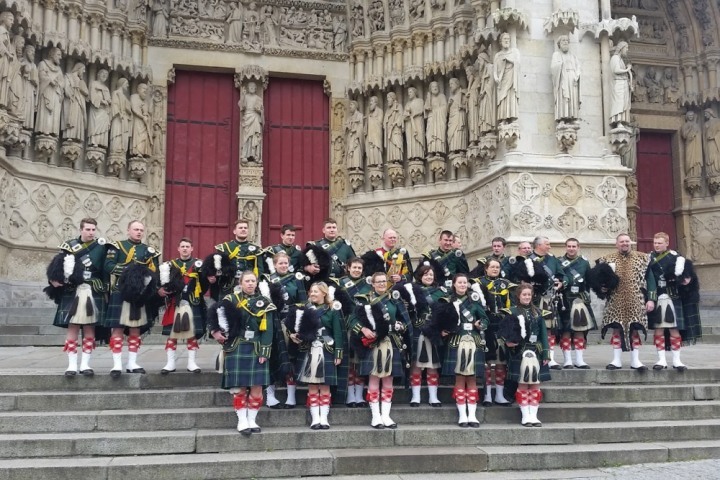 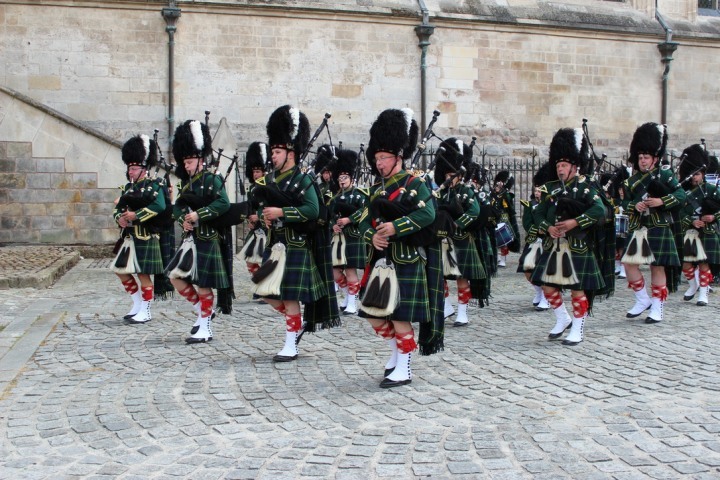 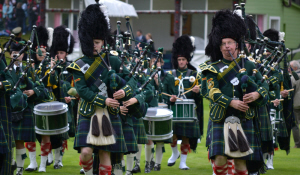 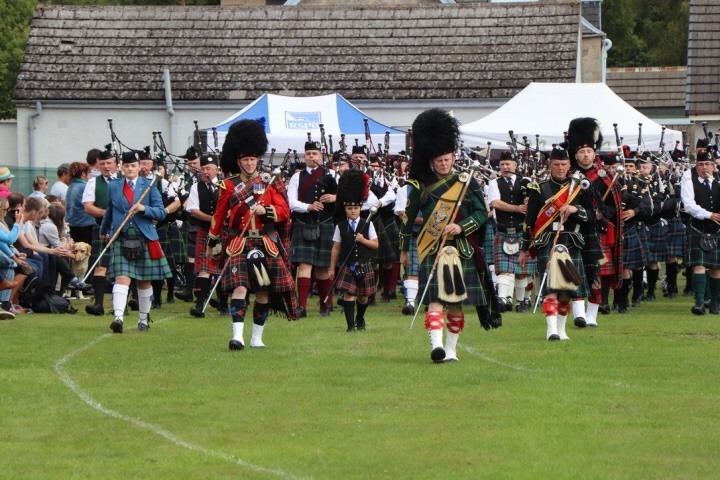 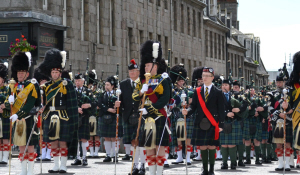 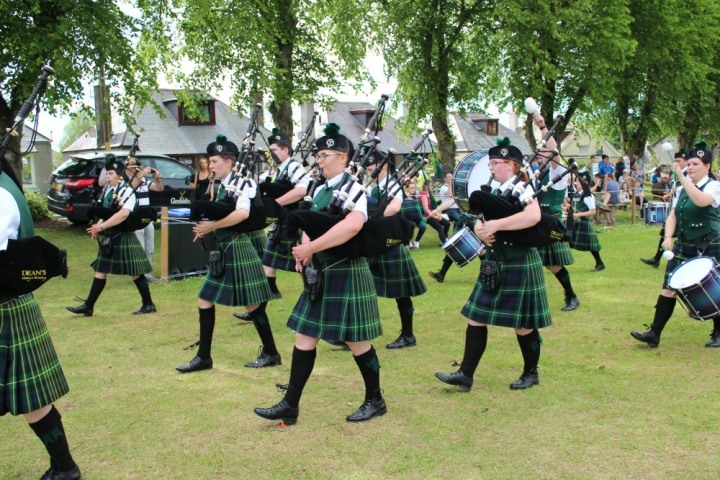 Huntly and District pipe band play at a variety of events. 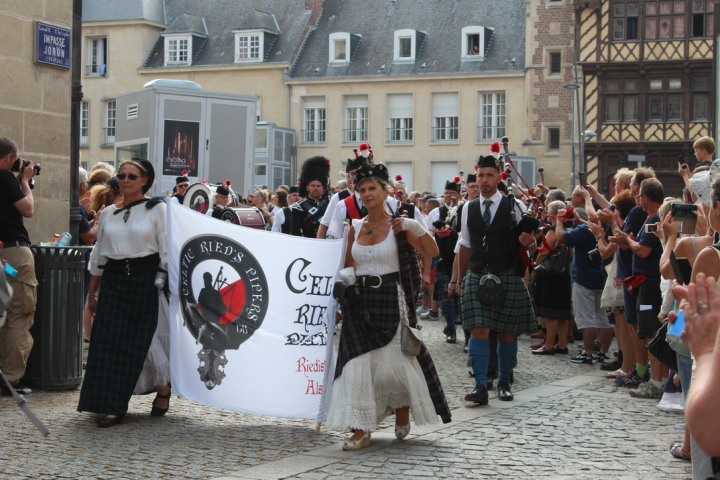 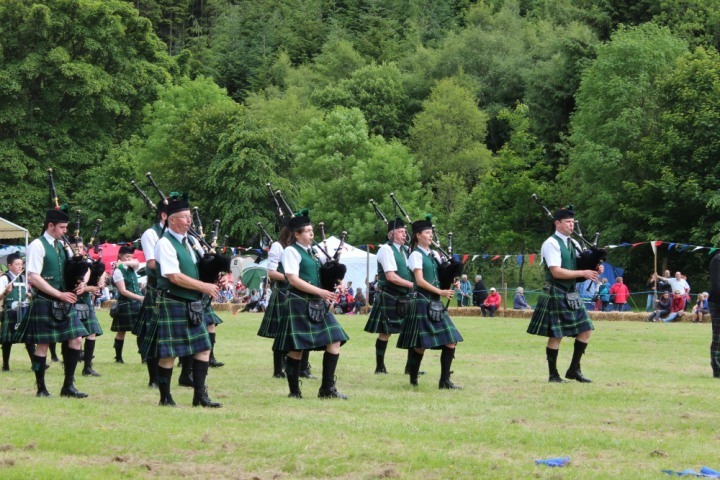 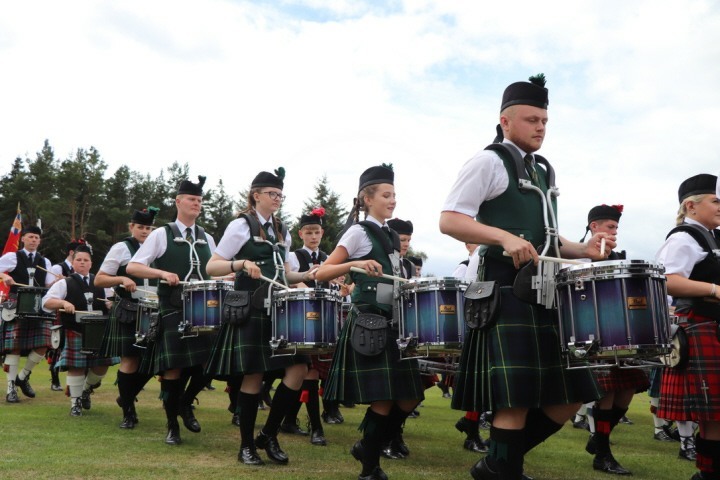 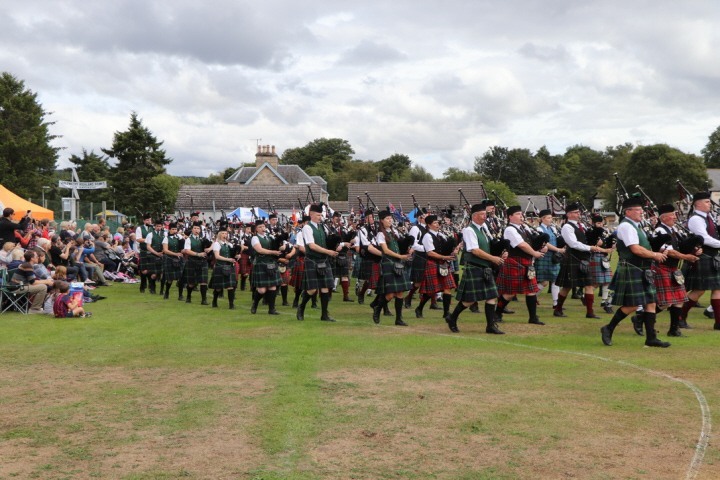 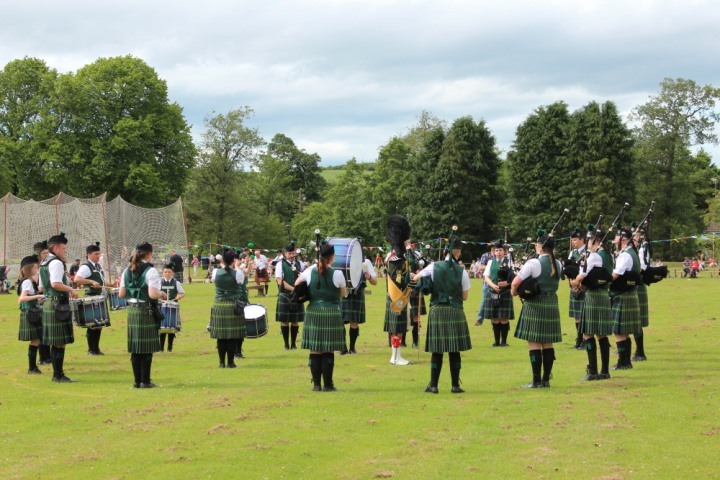 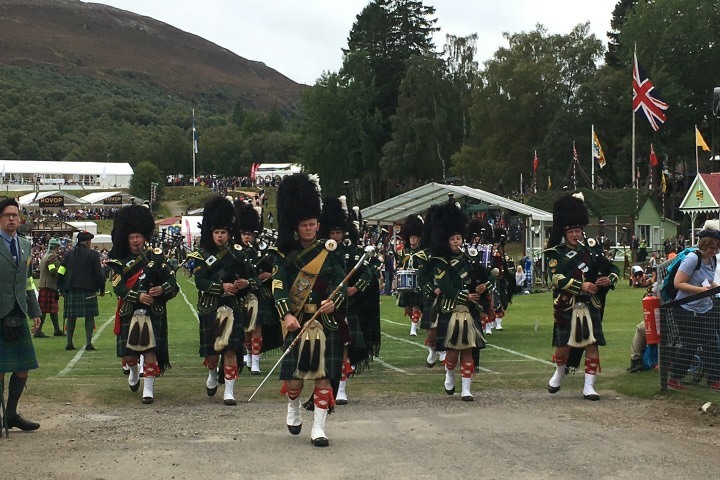 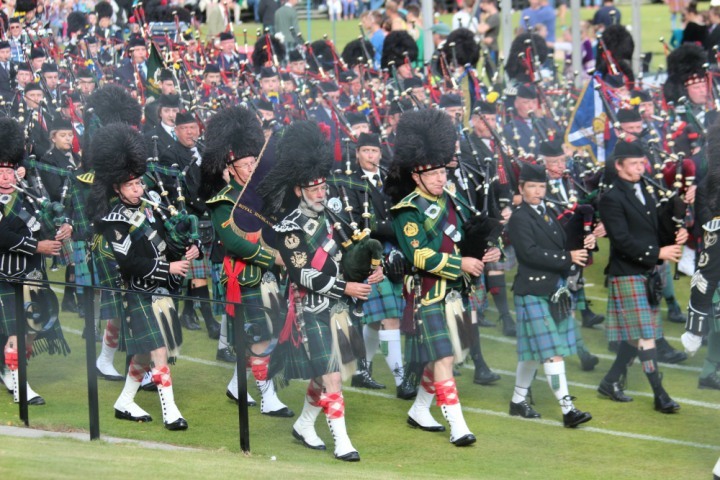 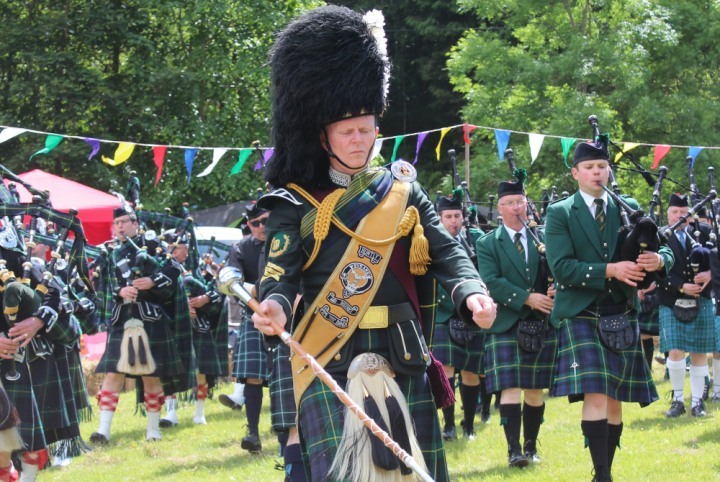 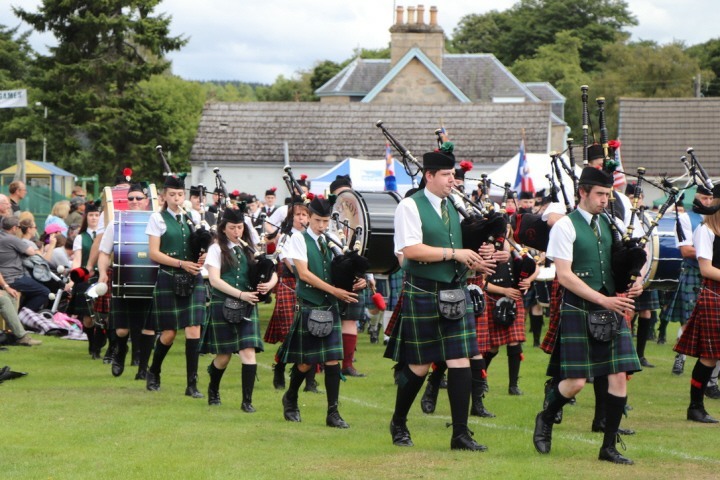 Highland games take up a big part of the summer months including massed band events at Dufftown and Nairn Highland Games and Braemar Gatherings. 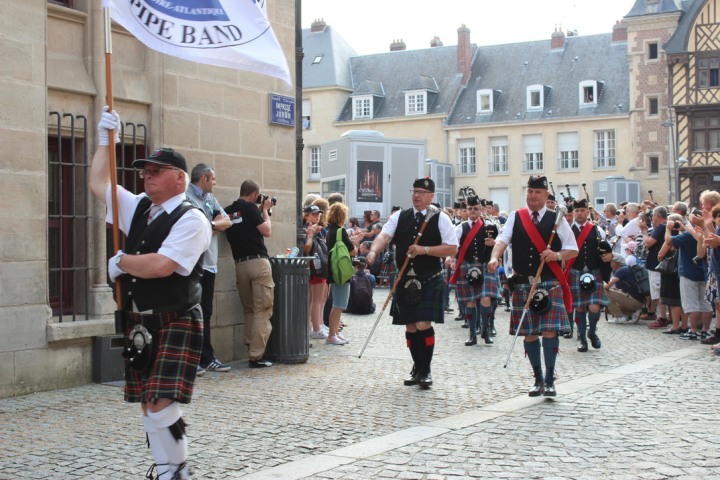 The band has travelled to Europe many times, during which we have made long-lasting friendships some of which span three generations. 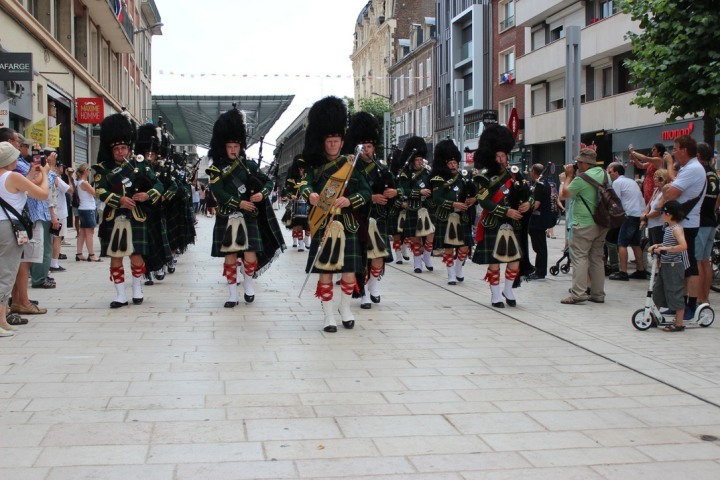 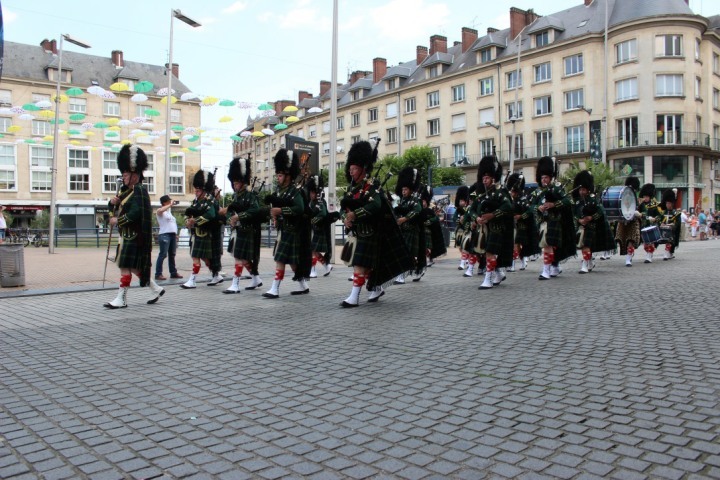 This year we are returning to Amiens, France in July.